Urban Animation is leading the master planning and delivery of the Shoreline Project at Bowmore, Islay, on behalf of the Islay Estates Company. The Project is the most significant development on the island since the construction of the original planned village at Bowmore in the 1770s. Islay Estates Company is seeking to create a modern legacy for the town and Islay as a whole. 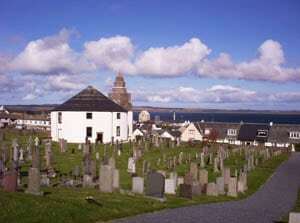 Islay is the fifth largest Scottish island and the southernmost of the Inner Hebrides. It is best known for its distinctive peaty, briny malt whisky, produced in 8 distilleries which attract visitors from around the globe. 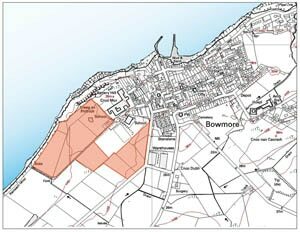 Bowmore is home to one of these distilleries and is the administrative ‘capital‘ of Islay. It was constructed on a grid pattern with the main street running downhill from a distinctive round church to the harbour. Most of the Islay villages are planned settlements and all have largely retained their integrity despite some modern sprawl round their fringes. As a result, Islay has a strong building typology characterised by low rise traditional whitewashed buildings with slate roofs, often laid out in terraces built down and round slopes. 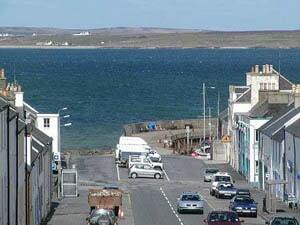 Unlike most of the Islay villages, Bowmore largely turns its back on the coastline. However, the Shoreline site is elevated and presents an opportunity to exploit panoramic views across Loch Indaal. The site of a former artillery battery from the Napoleonic Wars lies on a promontory immediately to the east, with views to the Paps of Jura. The Shoreline Project aims to provide a mixed use development with housing, retail, hotel, community, heritage/tourism and business uses, integrated with the existing settlement, respecting the historic street pattern and architecture whilst creating a development which is of its time. Two completed phases have delivered 30 affordable homes and these are fully occupied. A third phase of 20 more affordable homes is under construction for completion in 2018. Funded by Argyll & Bute Council and the Scottish Government, these houses will be owned and managed by ACHA – Argyll Community Housing Association. Further phases of affordable housing, market housing and business development are under discussion. A design brief for a play area is also being prepared. Given the remote setting and unusual constraints in bringing forward new development, it is essential that partnership opportunities are maximised. The Project will require support from the private, public and community sectors to achieve its full potential. Interested parties can contact Urban Animation or Islay Estates Company for further information.